The conventional wisdom for beginners used to be learning a new language in a classroom setting. There is a teacher present and the learners will come to the classroom. Well, not anymore. You now have a wide range of options to learn languages including a foreign language like Hindi. The internet provides the consistent information that will keep your learning experience interesting and exciting. Yes, the magic word here is consistent. You might find a traditional classroom that teaches only a set of information. But through internet, information is unlimited. 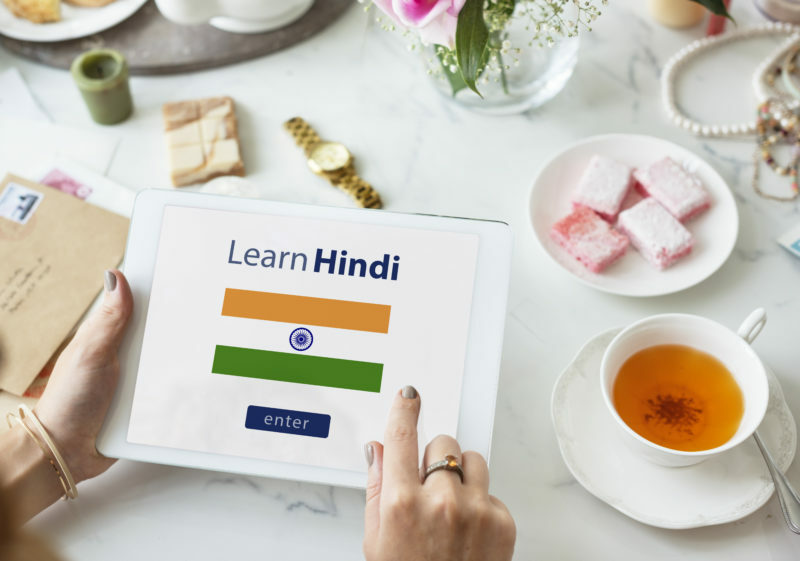 There are mainly three popular and different ways to how to learn Hindi for beginners – online classes, online courses and videos. With these sources you can effortlessly converse with Hindi native speakers, especially when you are on a vacation in India. And there are plenty of other reasons to learn Hindi. Take for example, Daniel who has been learning different languages from all over the world. Every time he is being asked the reason, he is always upbeat and excited about his accomplishments. When people ask him how he has stayed so motivated to learn them, he says two reasons. One is necessity – his business has opened office in the country. And the second reason is, he likes to share his success with others. Learning a new language improves cognitive abilities as well as increases the chances of finding opportunities to do business with other outside world. Maybe you want to learn about the vibrant Indian culture and make friends. Or maybe you are looking for a job opportunity in the country and Hindi lets you communicate and understand people in a better way. It used to be that you could start a business and make it confined to local areas. Today’s businesses are globally spread and learning a new language native to the place is inevitable. Learning the language helps you manage the information you accumulate about your clients in the foreign country and make the best use of the data available So, unless you can hire a translator to serve you around the clock, this is one area in which it pays to learn. With that in mind, there are many free as well as moderately priced classes and courses available for how to learn Hindi for beginners. Let us look at each in detail. Successful people always have teachers. This is one of the many reasons why they are successful in a faster rate than others. In the same way that you want to discover the best university for your higher learning, you want to find the best tutor to teach you Hindi. Many people who are enthusiastic about teaching languages teach on the internet in their spare time, or maybe the entire day. Just like traditional classrooms, you will find personal Hindi tutors to teach you. All you need to do is connect with them through some means – Skype or other video chat tools. Online classes may take different forms. In a formal setting, your teacher has a specific approach to learning Hindi. He or she will create the syllabus, set rules for attendance and work submission, review materials, grade and conduct exams. In an informal session, you set the rules, time and direction for the class. The tutor will assist with whatever work needs to be done. Here, you must create your unique way of learning the language or produce materials through writing. Although online classes are the most effective way to learn Hindi, online courses are more popular and easy to set up and access too. This is how to learn Hindi grammar at your own pace. Just find the right resource and you are set to go. These courses may differ from one another in terms of teaching techniques, methods, materials, complexity and much else. An ideal Hindi course should consist of four aspects namely listening, reading, writing and speaking. In the end, it is how much you have learned that counts. If you are proficient, that particular course has worked well. Below is a list of viable options for you to consider. Note that these resources are always changing. As a new language learner, you must be able to adapt to changing circumstances in teaching methods and take advantage of the new information out there. Livelingua.com – Here you will discover tons of Hindi lessons. With them, you will start learning basic Hindi right away. This is the starting point. However, do not forget to explore beyond this website, because there are better resources to refine your learning skill. Linguanaut – This is another online course to learn some common Hindi phrases. Want to learn how to say “How are your doing”? Or perhaps learn some funny phrases? This is the website to check out. Hindipod101.com – Another website where you can find tons of words and learn how to pronounce them. The website also teaches how to learn Hindi grammar. Sometimes, mostly because of hesitation or because of lack of confidence, learners pronounce words incorrectly. With this website, you don’t have to face such a situation. You will probably be able to speak in Hindi faster than ever with this resource. And then there are countless of other websites for beginners. There, you can learn Hindi vocabulary, words, manners and styles. All are aimed to make Hindi learning process as easy and pleasant as possible. Another best way to learn Hindi fast is where you already watch movies or TV shows for free – Youtube. There are plenty of channels on Youtube that teach how to read and speak Hindi. Whether you are at home or traveling, these videos are accessible from anywhere in the world. There is no need to signup for anything. Some of these channels are unique providing integrated approach to learning the language. Others are short and straightforward keeping the viewers interested the entire time. Last but not least, you can choose any one or combinations of these options. However, we don’t believe that one option is best way learn Hindi fast than another. People who have been successful in learning Hindi have focused on multiple options. Make sure you use the same strategy. Make sure that you love to learn the language and not just learn for the sake of it. And don’t fall into the trap of believing that Hindi can be learned in less than a week. Instead, learn to schedule your time. One to two hours at the end of the day can be devoted for this purpose. Using technology to draw up this schedule is a great way to start.